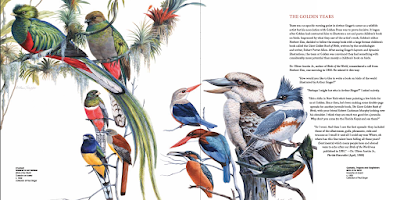 "I first read Birds of the World illustrated by Arthur Singer at age 8 in Sri Lanka. I saved my pocket money for one year to purchase it, it was my very first bird book. It so inspired me and directly affected my attention to details and devotion to ornithological art." Introduction, David J. Wagner, Ph.D. I am old enough to have professionally known Arthur Singer during his lifetime, and, though that was long ago, young enough to still remember him. I first met Arthur Singer in 1977, when he attended the opening reception of the exhibition that would become known as Birds in Art. At the time, Arthur was 60, I was 25. 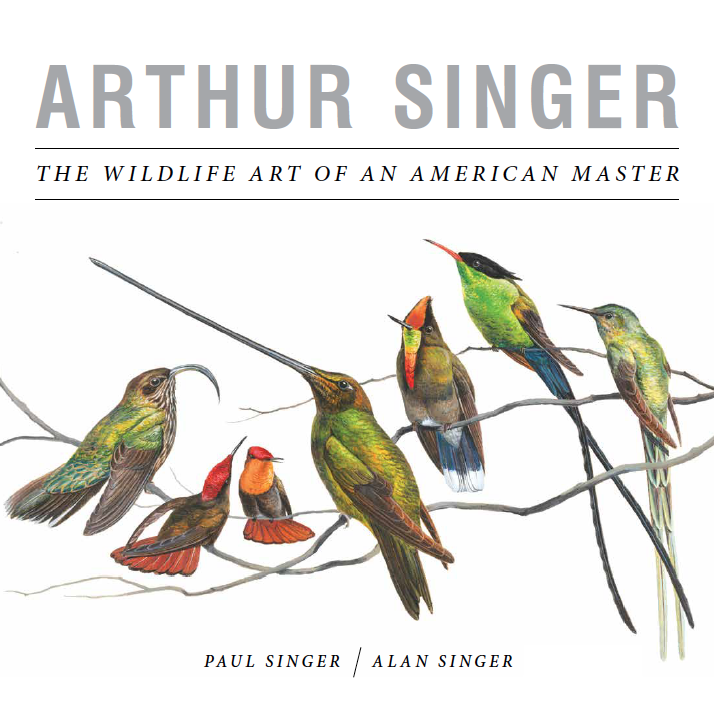 Today, I remember Arthur Singer as an artist whose strongest works displayed the subtlest of tonalities and a beauty of patterned repetition, and as an artist situated squarely in mid-twentieth-century aesthetics, enterprise, and ideology when it comes to the art of natural history. After the war, Arthur Singer returned to New York to work as an art director in a commercial advertising firm where he’d worked after graduation before the war, and briefly to Cooper Union to teach. In the early 1950s, he started doing free-lance work, including illustrations for nature articles in Sports Illustrated. 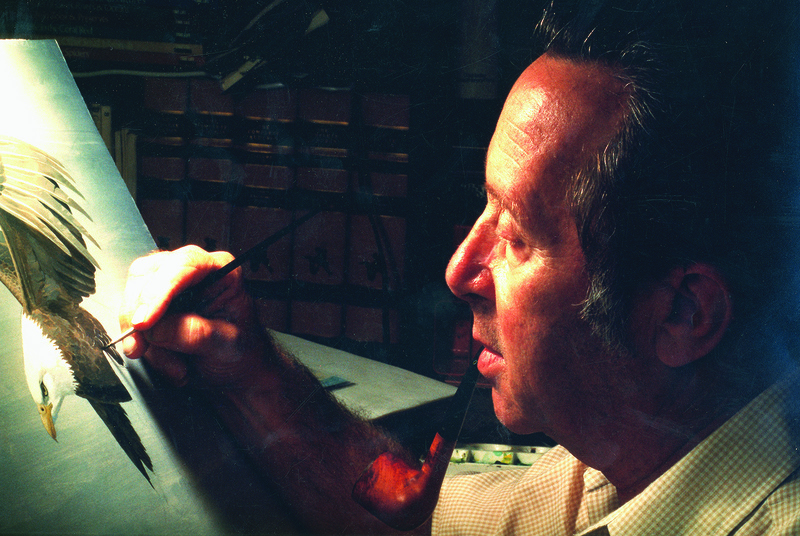 His first big break in bird illustration came when World Book approached him after bird artist, Don Eckelberry turned down an assignment due to competing commitments to update its section on ornithology in the encyclopedia. This led to a commission to illustrate Birds of the World, published by Golden Books that came out in 1961 and sold in the hundreds of thousands. A bibliography of other books illustrated by Arthur Singer followed including Birds of North America published by Golden (the first real challenge to the Peterson field guide), as well as others including Birds of Europe published by Hamlyn in 1968, all of which drove Arthur to work twelve- to thirteen-hour days to produce countless illustrations through the turbulent sixties and into the 1970s. Arthur Singer’s illustrations contributed immensely to public education and enjoyment of the natural world at a time when the environmental movement would reach its zenith. His concern for the environment was both shaped and fulfilled by public and private conservation initiatives, not the least of which was major legislation such as the Endangered Species Act. My personal feeling about the easel paintings that Arthur Singer submitted for museum exhibitions is that they gave the impression of ease, much like a great performance by a virtuoso musician who makes his or her technique look easy to the point of being imperceptible compared to the beauty of the moment.5 I think it is fair to say the same thing about the art of Arthur Singer. Chief Curator, David J. Wagner, L.L.C. 1 Abbott Thayer (1849–1921), mentor of Louis Agassiz Fuertes, literally invented camouflage art in service of World War I. 2 David J. Wagner, “SLEWAPS: Signed Limited Edition Wildlife Art Photolithographs” (Ph.D. Dissertation, University of Minnesota, Minneapolis, published by University Microfilms International Dissertation Information Service, 1999). 3George Magnan, “Arthur Singer: In the Path of Audubon,” Today’s Art and Graphics 29, no. 8, (August 1981). 5A metaphor that I believe Arthur Singer would have appreciated, since he was a real jazz aficionado.